Go green! 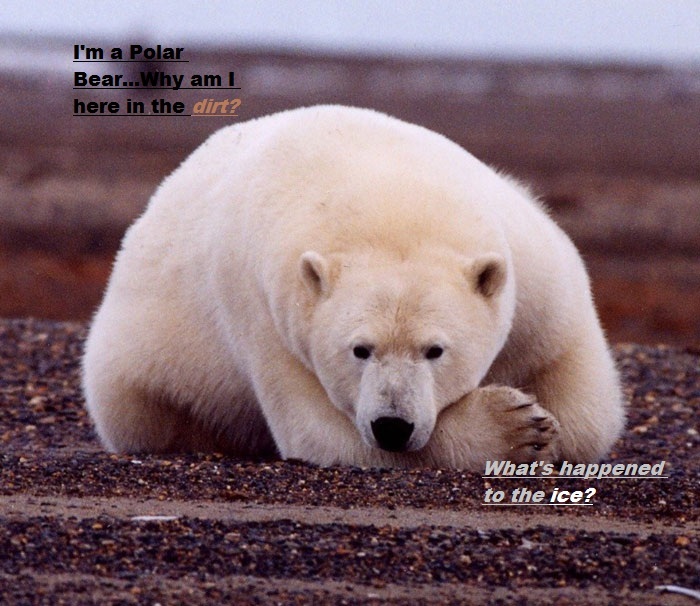 Help stop Global Warming! I used to go to a “Green School”. A Green School is a school that goes green. meaning it recycles what it can and helps plant trees and pick up litter and stuff. It was fun–and that’s how I became aware of Global Warming. 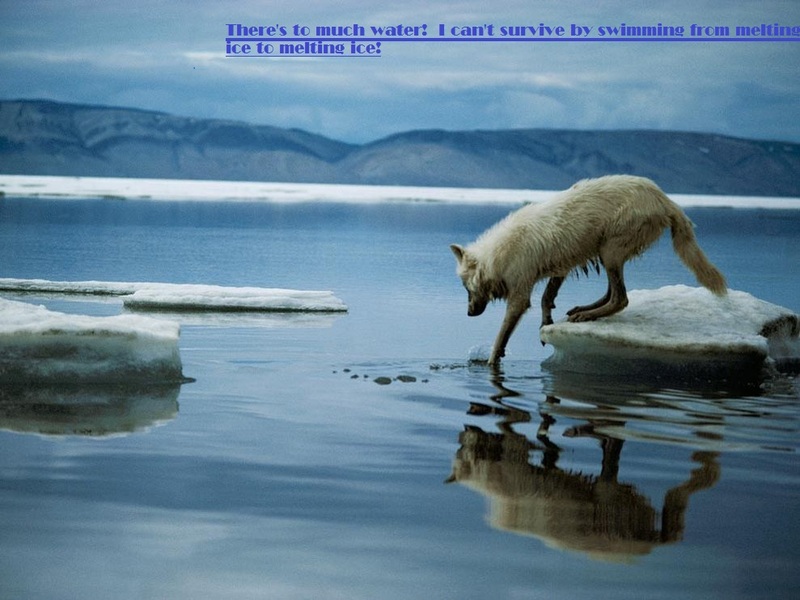 Global Warming is melting the ice where Polar bears, Penguins, Arctic Wolves Etc–live. This causes the seal breathing holes that seals come up to, to breath melt away. And Polar Bears wait buy those holes to catch seals. Without the holes–they don’t have very much food available to them. 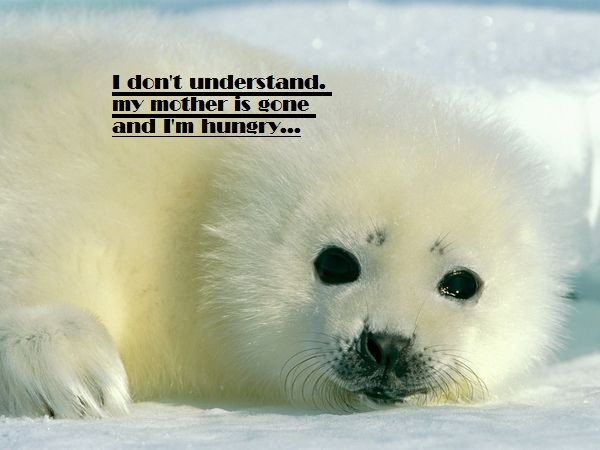 Sometimes this can cause baby animals to die from hunger. Or before they are old enough their mother abandons them because she can’t find enough food to support her and her child. Sometimes the mother dies and the baby is left alone. I have some photos with captions of it. And I’m sorry if–er–it seems a little dramatic. Going Green means doing stuff like. Recycling, Reusing, and Reducing. In other words the three “R’s”. This is so sad I almost started crying I wish that we could do something big to help this ongoing problem but it will only stop if everyone pitches in. I hate that this is happening to our world.